Of all the dramatic moments in U.S. gaming expansion in the past five years … okay, Monday’s vote by the New York State Gaming Commission board was not one of them. But while there wasn’t any excitement — the issue didn’t even merit a single comment before giving way to a unanimous vote to approve proposed sports betting regulations for the state’s upstate casinos — the procedural vote does begin putting New York’s future plans into focus. The 33 pages on sports wagering rules are rather vanilla — for a reason. The vote merely kicks off a process. Over the next 60 days, the public is invited to suggest possible changes, deletions, or augmentations of the basic rules. That takes us into late March. Sometimes there is little or no public input; inviting it is just a requirement of the state’s Standard Administrative Procedures Act. But here, we know better. There will be plenty of response from all sorts of parties with conflicting self-interests. The board will need time to evaluate all the public comments. So when will I be betting legally in New York? The best-case scenario laid out by board officials Monday is a vote in mid-May. That’s if, after all of the comments are absorbed, the board determines that no “substantive” changes are needed to the proposed rules. 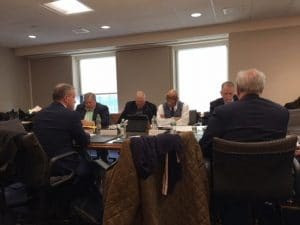 But if there are any substantive changes recommended by the board, then the rules would need to be reconsidered by the gaming commission — which requires an additional 45-day period. Both board officials and New York Gov. Andrew Cuomo agree that the 2013 law that permitted the opening of up to four new upstate commercial casinos does not permit racinos such as Yonkers Raceway to offer sports betting, nor does it permit the new casinos to offer an online version of sports betting, as New Jersey casinos and racetracks can do. This means that, in spite of some dissent from pro-gambling-expansion lawmakers who would like to see online sports wagering as soon as possible, such a reality almost certainly is at least three years away. That’s because a Constitutional amendment would have to be approved by the state Legislature in two different sessions and then by the voters. As far as the sports betting tax rate, that was locked in six years ago at 10% of gross revenue — the same as for table games. 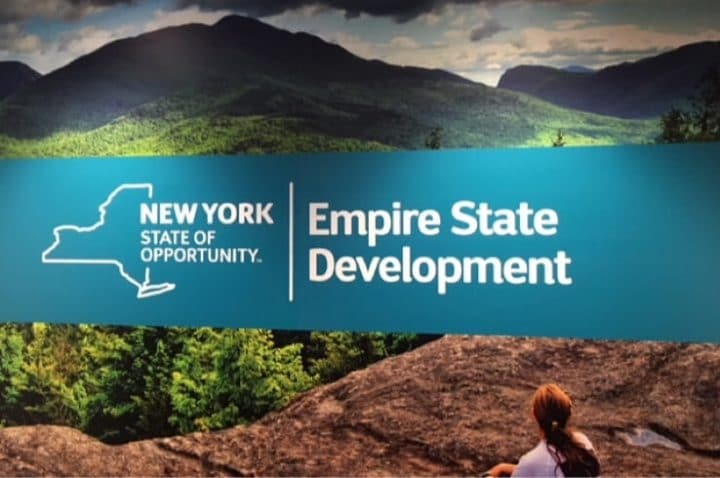 The gaming commission meeting was scheduled for 1 p.m. at the Empire State Development Corporation’s 37th-floor office on Third Avenue in midtown Manhattan. But for a half-hour, almost 20 interested parties — at least three of them being media — waited in, well, the waiting room. Finally, we were let in, only to be delayed another 15 minutes due to difficulties in hooking up a video feed with officials in Albany. And that was it. So 30 minutes of waiting, 15 minutes of a technical glitch, and 30 minutes of solidarity among the board members. Well, they can’t all be barn burners. The closest casino to the site of Monday’s vote that presumably will begin offering sports betting this spring or summer is Resorts World Catskills, 95 miles north. As far as the other commercial casinos, Rivers Casino and Resort in Schenectady is 160 miles up the road, Tioga Downs Casino in Nichols is 210 miles out, and Del Lago Resort and Casino in Tyre in Seneca County is about 270 miles away. If board members don’t have that kind of time, New Jersey taxpayers no doubt would encourage them to head a couple of miles west across town and then through the Lincoln Tunnel. New York residents are always welcome to sign up for one of 10 legal New Jersey sports betting mobile apps.